The life and work of composer, organist and choir leader Aleksandras Kačanauskas is associated with the cultural panorama of the cities of Riga, Warsaw, St. Petersburg, Kaunas, and Vilnius during the first half of the 20th century. A well known public figure in the world of music, Aleksandras Kačanauskas was one of the first initiators, organizers, and soloists with the Lithuanian Opera Theatre. Vocal music made up the greater portion of Aleksandras Kačanauskas' oeuvre. 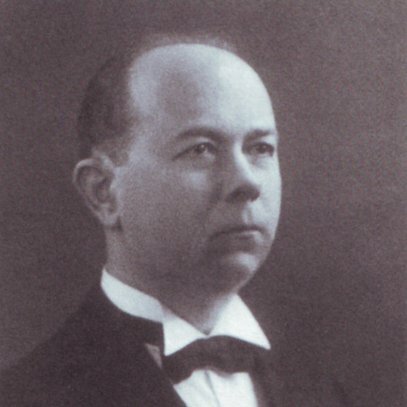 The life and work of composer, organist and choir leader Aleksandras Kačanauskas is associated with the cultural panorama of the cities of Riga, Warsaw, St. Petersburg, Kaunas, and Vilnius during the first half of the 20th century. A well known public figure in the world of music, Aleksandras Kačanauskas was one of the first initiators, organizers, and soloists with the Lithuanian Opera Theatre. He contributed a great deal to the founding and development of various musical societies, the organizing of choir and concert life in Lithuania and abroad, and the propagation of Lithuanian music. In 1907, he sang with the Riga "Viltis" ensemble on the first Lithuanian music recordings. He took on pedagogical work, and wrote for the press on various questions regarding music. Aleksandras Kačanauskas was born in Kaunas on June 2, 1882. The future composer studied the organ with Juozas Naujalis in his hometown, and left for Riga in 1902, where he continued playing the organ, and took up composition, piano, singing, and music theory at the Egert and Imperial schools. In 1911, Aleksandras Kačanauskas went to Warsaw, where he worked as a teacher, and accompanist at concerts. Back in Riga, he played the organ at St. Albert's Church, and took part in Lithuanian cultural life. 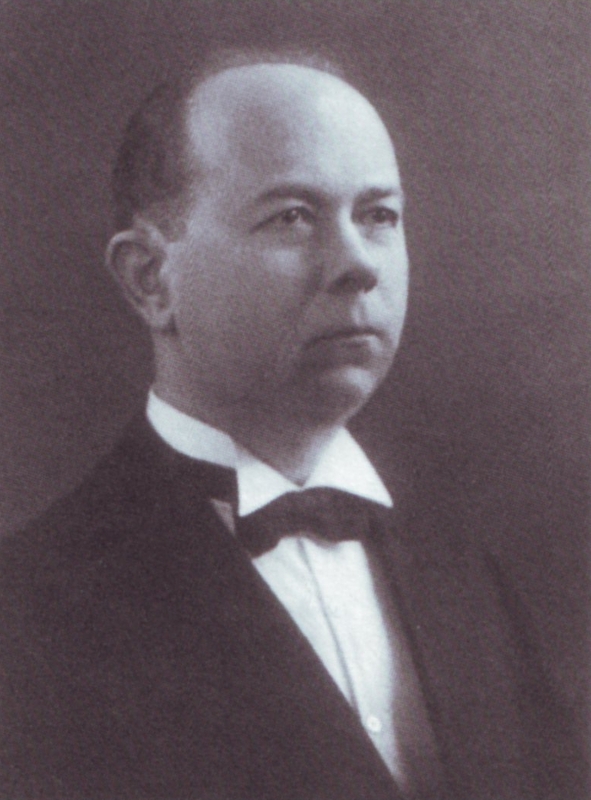 He continued his studies in singing at the St. Petersburg Conservatoire in 1916-19, and after the death of Česlovas Sasnauskas, took over as organist and choir leader at the Church of St. Catherine. After returning to Lithuania in 1920, Aleksandras Kačanauskas settled in Kaunas, where he joined in the city's active musical life - as organist at the Cathedral, and pedagogue at the music school and later the Conservatoire. Aleksandras Kačanauskas died in Vilnius on November 17, 1959. Vocal music made up the greater portion of Aleksandras Kačanauskas' oeuvre. It includes 123 original and harmonized folk songs for choir, 93 original and harmonized folk songs for voice solo and duet, and 68 sacred hymns. He also wrote 69 instrumental works, an operetta "The Young Widow", various other compositions. Aleksandras Kačanauskas was well versed in the technique of solo and choral singing, and had delved deeply into studying the possibilities of vocal expression. His songs for choir and voice are usually written in a simple 3 part strophic or strophic-variation form, with a predominantly homophonic structure. There is the occasional polyphonic style of melodic development, and effective instrumental arpeggio passages in his compositions for voice. In his harmonized songs, the composer preserves a manner of singing characteristic of a folk style, as well as a simple harmony and form. The work and achievements of Aleksandras Kačanauskas did not go unrecognized. The composer was awarded a medal commemorating the tenth anniversary of Lithuania's independence (1928), the Third Order of Gediminas (1938), and the honorary title of Artist of Merit (1957).